A broad range of GE appliances now recognize voice commands, thanks to the manufacturer’s adoption of Amazon’s Alexa Skills development kit. If you own an Echo, Echo Tap, or Echo Dot, you can use your voice to control any Wi-Fi-connected GE or Monogram refrigerator, oven, range, dishwasher, washer, dryer, or water heater. 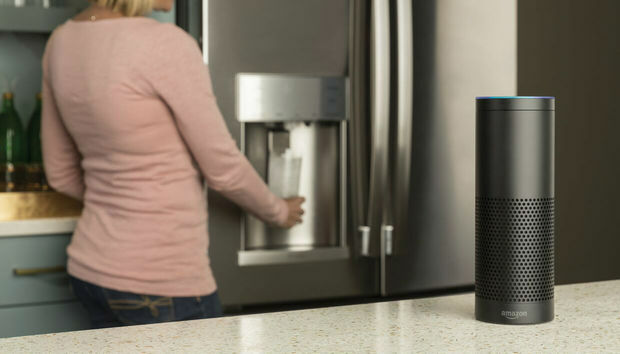 ”Alexa, tell Geneva I want hot water,” to get hot water ready at the refrigerator’s water dispenser. ”Alexa, ask Geneva how is the water filter?” to get a status report on your refrigerator’s water filter. “One of our goals with Alexa is to enable voice control on every device within the home, and this collaboration gets us one step closer to achieving that,” Alexa director Charlie Kindel said. GE plans to add more voice-control features down the road, and it also intends to incorporate Geneva into additional appliances that don’t have it now, starting with its line of connected air conditioners. Why this matters: Amazon is working hard to make Alexa as ubiquitous as possible; and as we said in our original review, we can see users installing an Echo in multiple rooms to take advantage of its connected-home features (this was long before Amazon announced the less-expensive Tap and Dot). With Google getting ready to ship its Google Home device, and Apple’s move to beef up Siri in iOS 10 by adding third-party connectivity (and possibly an Echo-like speaker), Amazon will need to continue to strengthen its hold on this element of the smart-home market. It has a huge lead with Alexa—it already has the largest third-party ecosystem, with more than 2000 skills—but that’s not an insurmountable obstacle to competitors as strong as those two. Local Perspectives: What about the 'MINTs'?